Year Interested to Start: Loading..
University of Nicosia will use the information you provide to process and evaluate your application request. We may also use the information from your application to provide you with ongoing updates about our programmes by e-mail or phone. You can end communication with us at any time, by requesting not to be contacted again. The first medical school in Cyprus offers a 6-year degree in Medicine for high school leavers. Graduates will be eligible to apply for registration with the Cyprus Medical Council in order to proceed with Residency applications in Cyprus or other EU countries. In order to be registered, applicants must additionally satisfy specific Greek language requirements. The Medical School provides free-of-charge Greek language lessons to support students with this. To practice in countries not within the European Economic Area, non-EU graduates will need to meet any other requirements of the country in which the graduate will apply for licensure. Your Admissions Advisor will be able to provide further information to guide you on this. All students who successfully complete the courses of Years 1-4 (i.e., Phases I and II of the MD programme) will be awarded a BSc in Biomedical Sciences. This degree will offer an opportunity to students who either do not want or cannot progress from Phase II to Phase III of their studies to have a BSc degree that will help them follow a different career option. To train students in the practice of scientific evidence-based medicine. To encourage students to practise medicine holistically , encompassing ethical, legal, psychological and social considerations. To produce highly competent and caring physicians. To foster the development of lifelong commitments to scholarship and service toward patients. To promote health and wellness through disease prevention and research. To contribute toward the establishment of Cyprus as a regional centre of excellence in medical education. Apply an understanding of normal and abnormal human structure, function and behaviour to the diagnosis, management and prevention of health problems. Demonstrate an understanding of the factors which influence the health of the population and the respective roles of the promotion of health, the prevention of illness and the treatment of disease. Demonstrate an understanding of the contribution of genetic, legal, social, environmental, political, economic, historical and behavioural factors to health, illness and disease within a global context. Elicit and interpret clinical symptoms and signs by interviewing and examining patients systematically and with sensitivity, and use this information to order investigations, make differential diagnoses and form management plans. Keep accurate clinical records based on their own observations and communicate their findings to others clearly and concisely. Recognise and manage life-threatening conditions and provide immediate care of medical emergencies, including First Aid and resuscitation. Develop an understanding of the work of other health care professionals, and demonstrate a willingness and ability to work inter-professionally and to learn from other professional groups. Work cooperatively as a member of a team, accepting and providing leadership as appropriate. Analyse and critically appraise clinical data and published work to determine their validity and usefulness. Practise ethical behaviour in meeting the needs of patients and families; concern for confidentiality and respect for individual autonomy, enabling patients and their families to make informed decisions in relation to their medical care. Possess an on-going commitment to the advancement of knowledge within a community of medical scholars and to life-long learning to maintain high professional standards. Possess skills in the recording, organisation and management of information including the use of appropriate information technology. Understand the therapeutic nature of the patient-doctor relationship and the impact on that relationship of the individual characteristics of both patient and doctor. Graduates will be eligible to apply for registration with the Cyprus Medical Council in order to proceed with Residency applications in Cyprus or other EU countries. In order to be registered, applicants must additionally satisfy specific Greek language requirements. The Medical School provides free-of-charge Greek language lessons to support students with this. To practice in countries not within the European Economic Area, non-EU graduates will need to meet any other requirements of the country in which the graduate will apply for licensure. Your Admissions Advisor will be able to provide further information to guide you on this. Graduates will be eligible for postgraduate specialty training leading to the award of a certificate of completion of training and also have the option of pursuing a postgraduate academic programme (PgDip, Masters or Doctoral) depending on their chosen career path. All students who successfully complete the courses of Years 1-4 (i.e., Phases I and II of the MD programme) will be awarded a BSc in Biomedical Sciences. This degree will offer an opportunity to students who either do not want or cannot progress from Phase II to Phase III of their studies to have a BSc degree that will help them follow a different career option. The curriculum of the MD Programme is innovative and is based on the most recent research in the field of medical education. Students learn through case studies and have small group tutorials for most of their courses. In addition, there is a strong emphasis on the social sciences including medical ethics and sociology. Curriculum development has focused on the guidelines of professional bodies, such as the General Medical Council of the UK (GMC), which places particular emphasis on social sciences because patients are social beings and clinicians benefit substantially from learning about the social aspects of health and illness and social health behaviour. Furthermore, there is currently a discussion about training both medical students and clinicians to be culturally competent in order to improve their interaction with patients. Medical Sociology has a crucial role to play in this training because it covers issues that relate to patients’ health beliefs, the experience of chronic illness, migration and health, cultural values and health behaviour, socio-cultural environment and mental illness, and socioeconomic background and health. Today medical schools can no longer afford to negate the importance of medical ethics in the undergraduate curriculum if they are to adhere to the prerequisites of professional bodies such as the General Medical Council, the World Medical Association and the World Federation for Medical Education which, among other professional bodies throughout the world, deem medical ethics as a core part of the medical curriculum. Ethics is a philosophical discipline and medical students, who may be more adept in the sciences, need an appropriate amount of time dedicated to this subject. Therefore, we strongly feel that one full course, in addition to integrated lectures in medical ethics throughout the curriculum in a six year medical programme, is necessary to form doctors who are aware that ethics is crucial to good medical practice and will have the clinical ethical competence skills required by these professional bodies. The attainment of scientific knowledge is not sufficient to become a good doctor. Students need to know how to use, and not misuse, such knowledge. In addition the curriculum has been designed to encourage spiral learning. Therefore topics visited in first years are revisited in subsequent years to build on further experiences. The programme is structured around 12 academic semesters over a period of 6 years. In each semester students are required to take 30 ECTS credits, completing 360 ECTS credits after 12 semesters of full-time tuition. Phase I consists of years 1-3, Phase II consists of year 4 and Phase III consists of years 5 and 6. During Phase I (years 1-3) students gain knowledge in the basic medical sciences: general chemistry, organic chemistry, physics, biology, anatomy, histology, biochemistry, physiology, genetics, microbiology and virology, immunology, pharmacology, general pathology and essential medical statistics. In addition students take courses in the social sciences related to medicine such as medical sociology, medical psychology and medical ethics. Students also take courses in Integrated Clinical Practice where they develop the important clinical and communication skills required for medicine. Students will have the opportunity to meet, under supervision, selected patients in local hospitals and clinics to practise these basic skills. During the first semester of Phase II (year 4) students take courses in haematology, systematic pharmacology, and public health and epidemiology. They also take a course in which they carry out a research project. In the second semester of Phase II the students take a course in Integrated Clinical Practice in which they build on the clinical and communication skills they developed during the previous years. The aim is for students to practise further clinical and communication skills related to the courses running concurrently, initially on each other and professional role players, and subsequently on selected patients in the community. The students will visit local hospitals, clinics and the community to allow further practice of the skills they have learnt and to understand how medicine is practiced in these settings. Students take part in clinical attachments in medicine, surgery and general practice. The objectives of Phase III (years 5 and 6) are to provide students with extensive experience in the clinical environment, mainly in hospitals but also in the community, so that they can utilise their learning over the previous 4 years to practise their clinical, communication, diagnostic and reasoning skills on real patients, and to learn about the management of patients, from a medical, therapeutic, surgical, psychosocial and caring perspective. Students take part in clinical attachments in cardiology, cardiothoracic and vascular surgery, respiratory medicine, thoracic surgery and breast surgery, gastroenterology and GI surgery, nephrology, urology and transplant surgery, rheumatology and dermatology/plastic surgery, neurology, neurosurgery and palliative care, psychiatry, paediatrics, obstetrics and gynaecology, internal medicine, general surgery, emergency medicine and intensive care, orthopaedics, otorhinolaryngology & ophthalmology, therapeutics and prescribing, general practice and geriatric medicine. Students also do a Clinical Attachment Elective, spending six weeks on a chosen activity or medical specialty of their choice. Students are encouraged to broaden their experiences by undertaking their elective in a different environment. This includes the option of carrying out an elective in teaching hospitals abroad. The last 2 years of the course are spent at teaching hospitals in Cyprus, with the opportunity to undertake elective rotations in the United States during the final year. The Nicosia General Hospital (NGH) is the largest state hospital in Cyprus, located on the outskirts of the country’s capital. It has 500 inpatient beds and covers a wide range of medical specialities,being the only referral hospital on the island. Offering secondary and tertiary health care as well as diagnostic and laboratory tests, NGH is equipped with the latest biomedical and laboratory technology and employs 2,200 medical, nursing, paramedical, technical and other staff. Among clinical specialities and services at NGH are heart, vascular and thoracic surgery; neurosurgery; plastic surgery; a burns clinic; oral and maxillofacial surgery; transplantation; magnetic tomography; lithotripsy; and nuclear medicine. NGH’s departments include a state-of-the-art Intensive Care Unit; a fully equipped Department of Radiology; histopathology, cytology, audiology and nuclear medicine laboratories; physiotherapy, endoscopy and urodynamic units; a Department of Interventional Cardiology; and other clinical laboratories. Each year NGH admits over 22,000 patients and performs 7,000 operations, in addition to seeing 300,000 outpatients and over 130,000 emergency cases. Students gain their paediatric and obstetrics and gynaecology clinical training at the affiliated Archbishop Makarios III Children’s Hospital, a 250-bed facility that includes a neonate intensive care unit. Additionally, a number of Primary Care centres are utilised for Final Year General Practice training. 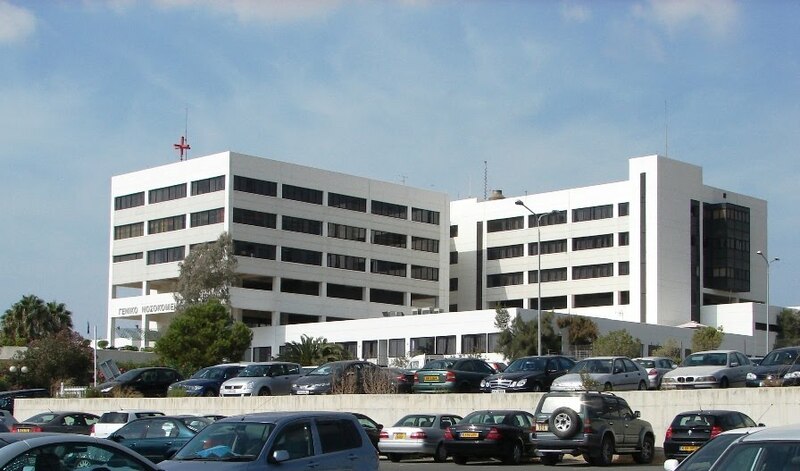 The Limassol General Hospital is the second largest hospital in Cyprus with capacity of 410 beds. It provides medical services to 200,000 inhabitants for the city of Limassol and its district. It also covers the district of Paphos for some specialties which are not offered at the Paphos General Hospital. In addition, Limassol General Hospital is a teaching Hospital for nurses and doctors in six main specialties (surgery, internal medicine, cardiology, orthopaedics, gynaecology /obstetrics and nephrology). The Limassol General Hospital is the only hospital in Cyprus with a special unit providing services for infectious diseases. There is also a centre which offers training programmes supporting trauma patients (ATLS PHTLS). Westchester Hospital provides students an opportunity to undertake elective rotations in the United States during their 6th Year. The hospital offers comprehensive clinical programmes covering a full range of specialties to meet most healthcare needs with 5,500 annual admissions, 20,000 annual outpatient visits, and 11,000 annual ER visits. Its medical staff includes family physicians, internists, a wide range of sub-specialty physicians, psychiatrists, surgeons, and podiatrists. The Westchester Hospital network offers diverse services including behavioral health, wound care, physical therapy, surgical services, diagnostic radiology, clinical laboratory, cardiopulmonary services and a well-equipped Emergency department. Westchester Hospital offers an AOA-approved residency in Family Medicine and an Internship year. Southampton Hospital provides students an opportunity to undertake elective rotations in the United States during their 6th Year. The hospital offers comprehensive clinical programmes covering a full range of specialties to meet most healthcare needs with 6,100 annual admissions, 24,000 annual ER visits, 5,800 annual surgical cases and 750 annual births. 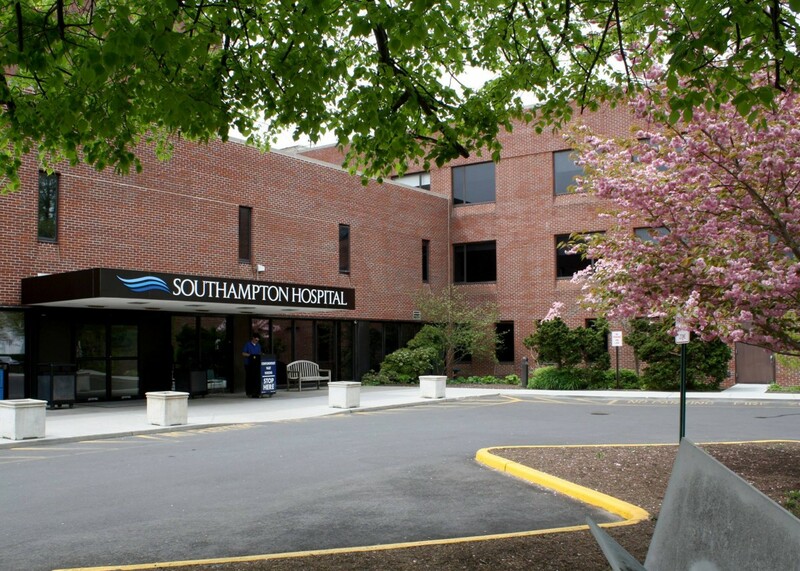 Southampton Hospital’s staff of 1,700 includes more than 280 physicians, dentists and allied health professionals. Its extensive network of conveniently located satellite facilities from Westhampton to Montauk provides access to primary care, laboratory, radiology, and wellness services close to home for Long Island residents. Southampton Hospital offers ACGME/AOA-approved residencies in Family Medicine and Internal Medicine and an AOA-approved Residency in Surgery. The Graduate Medical Education Office is very active, offering daily lectures in various medical topics for residents and medical students. Medical students from both the MBBS-4 and MD-6 programmes who are spending their final two years in Cyprus and have a career interest in orthopaedics may participate in clinical training at the Shriners Hospitals for Children in Springfield, Massachusetts as part of their elective rotations.Shriners Hospitals for Children is a health care system with 22 medical facilities across North America. The hospitals provide the highest quality care to children with neuromusculoskeletal conditions, burn injuries and other special healthcare needs within a compassionate, family-centered and collaborative care environment regardless of the families’ ability to pay. In addition, the Shriners Hospital system conducts research to discover new knowledge that will improve the quality of care and the quality of life of children and their families and provides for the education of physicians and other healthcare professionals. Since 1981, orthopaedic specialists from the hospital have visited Cyprus annually as part of an established humanitarian partnership with the George and Thelma Paraskevaides Foundation. About 8,000 children from all communities of Cyprus have been examined for a range of orthopaedic conditions since the annual visits began. The assessment in the six years of the medical programme is designed to thoroughly evaluate the knowledge and skills the medical students will need to attain to allow them to practice medicine. Practical skills (Clinical and communication skills) are assessed by Objective Structured Clinical Examinations (OSCEs). OSCEs are practical exams that assess the students’ clinical and communication skills with involvement of real and simulated patients in a setting similar to clinical practice. OSCEs are marked by trained examiners, many of whom are clinically qualified. The details of assessment for each year of the MD Programme are thoroughly described in the Scheme of Assessment which is available to the students upon enrolment on the programme. In the MD Programme several mechanisms are in place to ensure assessment is of the highest quality. All faculty of the MD Programme are trained to ensure the development of high-quality examinations that will also prepare the students for taking the USMLE Step 1 Examination. The exam papers are blueprinted against the curriculum and thoroughly reviewed by Internal Moderators and an Assessment Panel. The results of each exam are reviewed during Results Meetings. The curriculum of the MD Programme is mapped against the topics of the United States Medical License Examination (USMLE) Step 1 Examination. In order to progress from Phase II to Phase III, the students in the MD Programme will have to pass the USMLE Step 1 Exam. The University of Nicosia Medical School provides the students in the MD Programme with the opportunity to take USMLE Step 1 Practice Tests which are offered through the National Board of Medical Examiners. The questions in these practice tests are derived from the USMLE Bank of Questions which is used to generate the official USMLE Step 1 Examination. The USMLE exam is an international benchmark that ensures the offering of a high quality programme that meets the standards of high quality international programmes. Taking the USMLE is also the first step in the process to become a physician in the United States. ¹ GMC, Tomorrow’s Doctors, 2009.
with 90% overall score (Ί8/20 overall in the Lyceum Apolytirion), to include similar grades in Biology and one of either Chemistry, Physics or Maths. Or: International Baccalaureate with 32 overall and a combined score of 16 at Higher Level, to include Biology and at least one of either Chemistry Physics or Maths. The Medical School may also consider applicants from other education systems. For any other qualifications please contact us so we can assess your eligibility. Or: a score of 70% in English in the European Baccalaureate. Students from the UK, USA, Canada, Australia and New Zealand are exempt from this requirement as long as they have graduated from an English speaking high school. Candidates who hold a Bachelor’s Degree in a field relevant to Medicine can be considered for admission to the first year of the course. Depending on their coursework, they might be able to start in Year 2 of the programme following a review of qualifications by the Admissions Committee. Such candidates from English-language universities would be exempt from the English-language requirements. Annual tuition is €18,000 for the first 3 years and €22,000 for the final 3 years. Living costs depend on your lifestyle. On average, staying in Nicosia for the whole year will cost a minimum of €7,000 – €8,000. *Please note that the above visa fees may be subject to change. Scholarships based on demonstrated financial need are available to help eligible students partially fund their studies. In addition, students from certain countries may be entitled to financial support from their home governments – our admissions team can advise further.